Thick fog greeted us on Sunday morning and with visibility restricted to such an extent that even the opposite side of our road was hard to make out, it was clear that we wouldn't be going anywhere for quite some time. Fortunately conditions slowly improved and by midday it was possible to not only see a little bit of our surroundings but also pick out our very first Swift of the year soaring above the village. 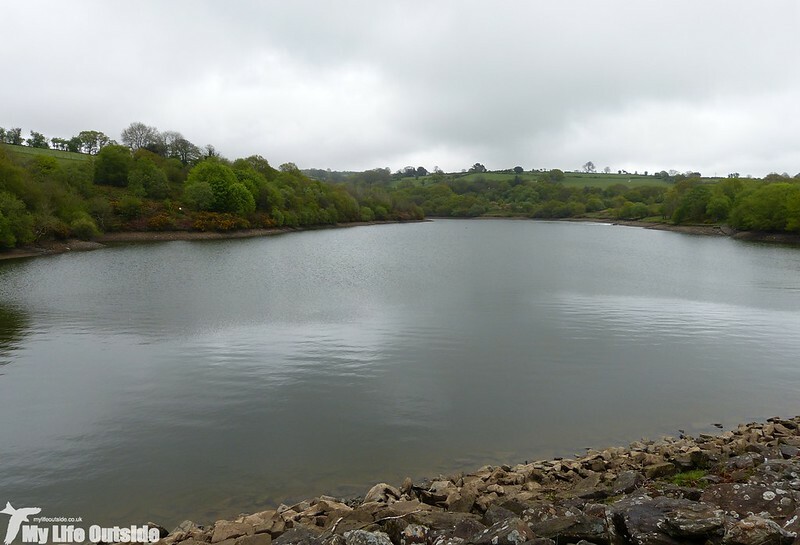 If that's not motivation enough to get out there I don't know what is so we set off for the Lliw Reservoirs to see what else the bad weather may have brought in. 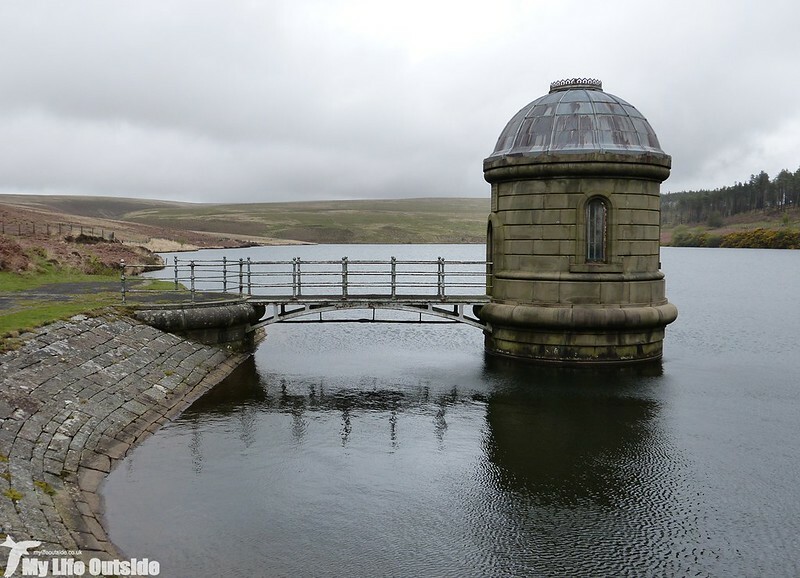 As it turned out the answer was not much with the airspace above the lower reservoir devoid of any movement. 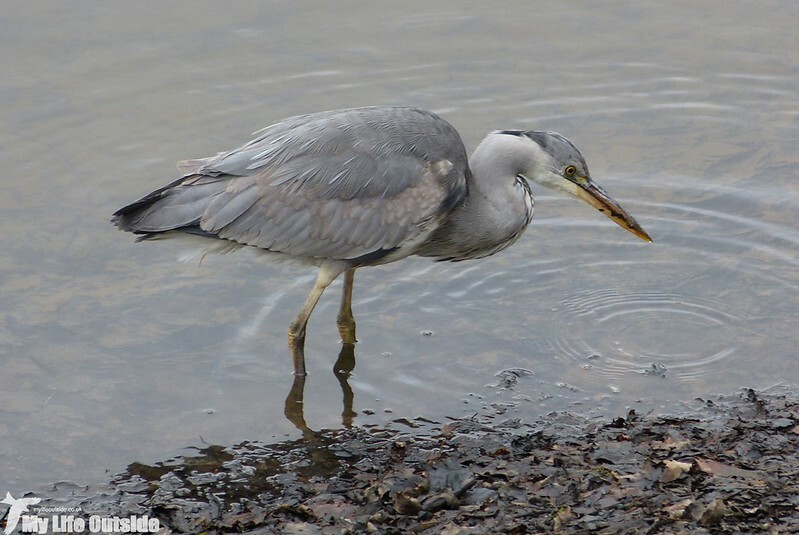 All hail therefore this Grey Heron which was fishing just behind the dam and had caught for itself a most impressive Eel which it proceeded to wolf down in a matter of moments. It's been a long time since I've seen a Heron take such a large item of prey and it never ceases to amaze me quite what they can fit down that slender neck of theirs. Even better was that this early success seemed to have unleashed the floodgates as we stumbled across quality bird after quality bird. First up was a male Blackcap and three Mistle Thrushes, then came the distinctive sound of a reeling Grasshopper Warbler from across the water. What a season we're having for a bird which until last year we'd never even heard let alone seen. More audible delights came in the form of a yaffling Green Woodpecker and calling Tawny Owl (presumably disturbed given that it was still early in the afternoon) followed by a Great Spotted Woodpecker, pair of Bullfinches, Jay, Song Thrush and then two Grey Wagtails where the Afon Lliw reappears. They looked to be having a field day feeding around a large area of exposed mud left high and dry as a result of low water levels in the reservoir. I guess we really have had a dry start to the year. Following the river up to the second reservoir we finally spotted a couple of Swallows before this Red Kite drifted overhead. Other quality sightings included a pair of Wheatears and Stonechats before it was on to the Brynllefrith plantation. To my surprise we found that a lot of the trees had been felled since our last visit leaving roughly twenty percent of the acreage devoid of any cover. Quite what effect this will have on the migrants which normally breed here is anyone's guess but at least there were still several Siskins noisily patrolling the upper reaches. Every time they fanned their tales we were treated to a flash of brilliant green which against such grey lighting shone like I've never noticed before. Quite impressive indeed. Out on the water a small roost of mostly Herring and Lesser Black-Backed Gulls were loafing about before we had to make a mad dash back down the valley to avoid the next weather front moving through. Seems those April showers were a little late in arriving this year. 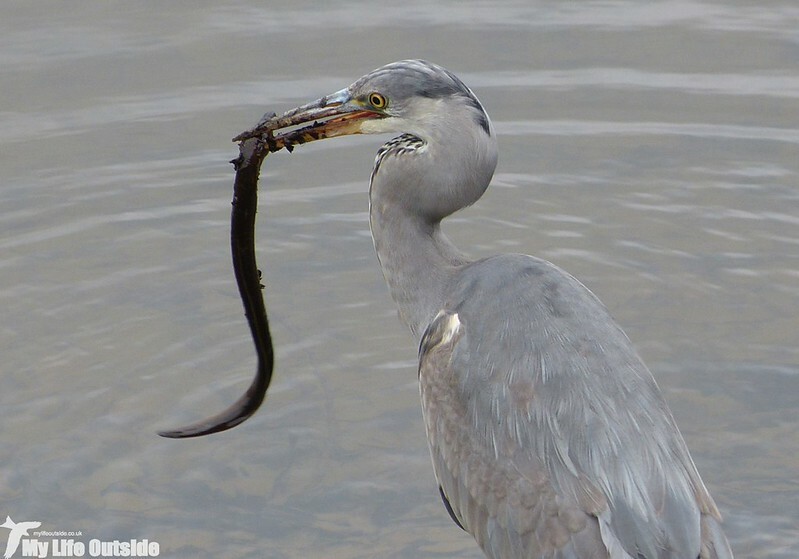 Awesome capture of the heron with the eel! 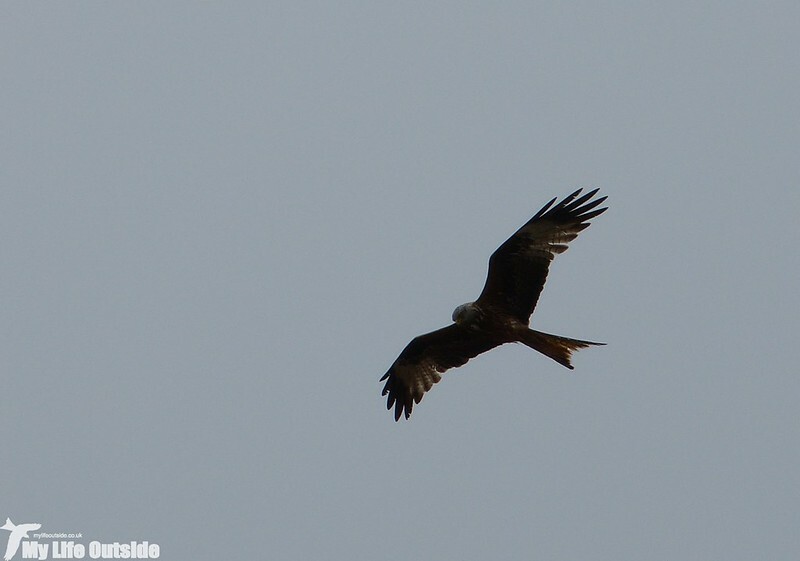 And I love the Red Kite.. The reservoir looks like a great birding spot.. Happy Thursday!